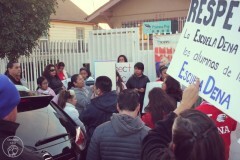 LA parents, students, teachers hold spirited protest against KIPP charter school | Fight Back! 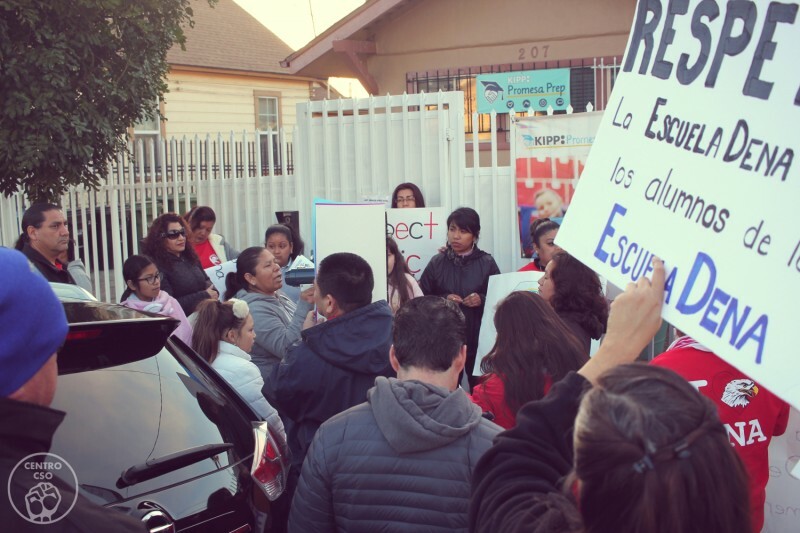 Los Angeles, CA - More than 30 parents, teachers, students and supporters of Christopher Dena Elementary took to the streets angrily opposing a co-location move by KIPP Charter. A co-location by KIPP at a public school means students would be segregated, within the same building, depending on which ‘school’ they were enrolled in. Dena (the locals’ name for Christopher Dena Elementary) is located in the historic neighborhood of Boyle Heights and is home to hundreds of students from mostly Chicano, Latino and immigrant working-class families. KIPP Charter is notorious for being supported by multi-billion industries like Netflix and the multi-billionaire Eli Broad, whom has publicly vowed a war against public education. KIPP’s efforts failed when these same parents, students and teachers fought back at the Jan. 24 Boyle Heights Neighborhood Council meeting when the board voted against allowing KIPP to rezone the former hospital property. To stay connected with the fight, follow Centro CSO on Facebook, email them at [email protected], or call for more information at 323-943-2030. Márquez is a Chicana member of Freedom Road Socialist Organization (FRSO) and Centro CSO.